Agreement appears to be another step by Prime Minister Abiy Ahmed to improve the country’s security. Ethiopia‘s government has signed an agreement to end hostilities with the Oromo Liberation Front (OLF), which it had previously labeled a “terrorist movement”. 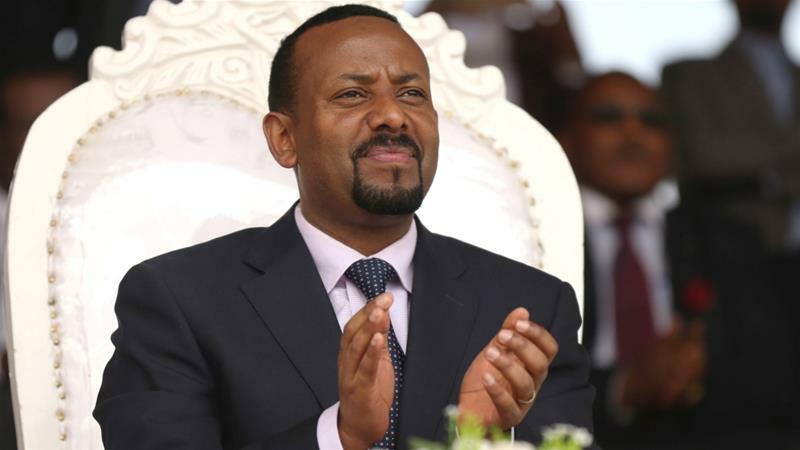 The deal signed in the Eritrean capital, Asmara, on Tuesday appeared to be another step by Ethiopian Prime Minister Abiy Ahmed to improve security and diplomatic relations, reform institutions and open parts of the state-controlled economy. Since the 1970s, the rebels have fought a low-level battle for self-determination for the Oromia region, which is Ethiopia’s largest and home to the Oromo ethnic group. The OLF was initially part of a transitional government set up in 1991 by rebels from a coalition, which had driven former military ruler Mengistu Haile Mariam from power, but they soon fell out with the coalition. The government has now signed a reconciliation agreement to end hostilities with the OLF’s exiled leader, Dawud Ibsa, who lives in exile in Asmara, the capital of neighbouring Eritrea, said Eritrea’s Information Minister Yemane Gebremeskel. “The agreement further states that … the OLF will conduct its political activities in Ethiopia through peaceful means,” he said on Twitter. Al Jazeera’s Mohammed Adow reporting from neighbouring Djibouti, said that the agreement is a “huge boost for Prime Minister Abiy Ahmed”. “Prime Minister Abiy himself is an Oromo and having a rebel group from his own community fighting his government would have been a huge setback for the raft of reforms that he has initiated in the country,” Adow said, adding there are additional reasons why the OLF signed the agreement, ending hostilities with the state. “They were getting most of their support from the Eritrean government and now that the Eritrean government has normalised relations with the Ethiopian government, that support was not forthcoming,” Adow said.